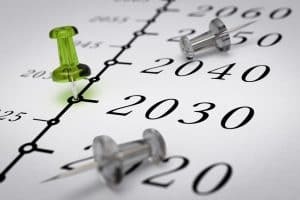 This past year, the EU Association of Specialty Feed Ingredients and their Mixtures (FEFANA) launched its vision of the feed industry in 2030. In a six part series, we will breakdown what was in the report as well as comment on how we see Great Plains Processing (GPP) will fit into the prediction 18 years from now. As an expanding custom toll spray drying company with a diversified customer base both geographically and by species, GPP looks forward to serve our customers as best we can now and in the future. For more information on our expansion project and additional information about GPP – click here. WHAT ARE THE EXPECTATIONS OF THE FOOD CHAIN ? This report focuses on the European market, however, the continuing globalization of the animal feed industry is on par with human food developments – meaning the effects and predictions tend to be similar to the industries and markets in the United States and even locally in Minnesota and South Dakota. It’s no secret, as time goes on, we will need to feed more people with fewer available resources. The United Nations Food and Agriculture Organization (FAO) estimates that by 2050 the demand for food will grow by 60% and that between 2010 and 2050 production of animal proteins is expected to grow by around 1.7% per year, with meat production projected to rise by nearly 70%, aquaculture by 90% and dairy by 55%. Again, according to FAO, by 2050 more than 70% of the worlds population will be in urban areas. Compare that to 49% today. Income levels are also expected to be many multiples of what they are now on a global spectrum. As populations change, incomes increase and more people urbanize we will have to feed more people, more food, more often and with much fewer resources than we have today. Up next: Part 2 – WHAT ARE WE DOING TO MEET THE EXPECTATIONS OF SOCIETY AND THE FOOD CHAIN ?